I've just returned home from the most amazing trip to Mougins in the south of France. 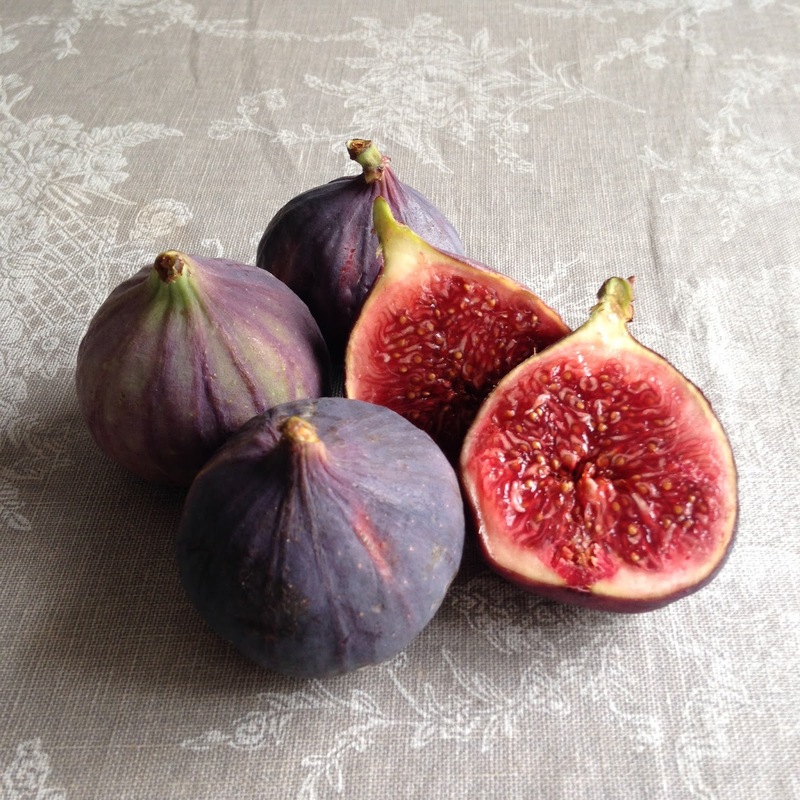 On every menu I read over there figs featured in some shape or form: fig tatin, roasted figs, wonderful cheese boards accompanied by beautifully ripe, fresh figs. They were served in sweet dishes, savoury ones, and all tasted absolutely delicious. 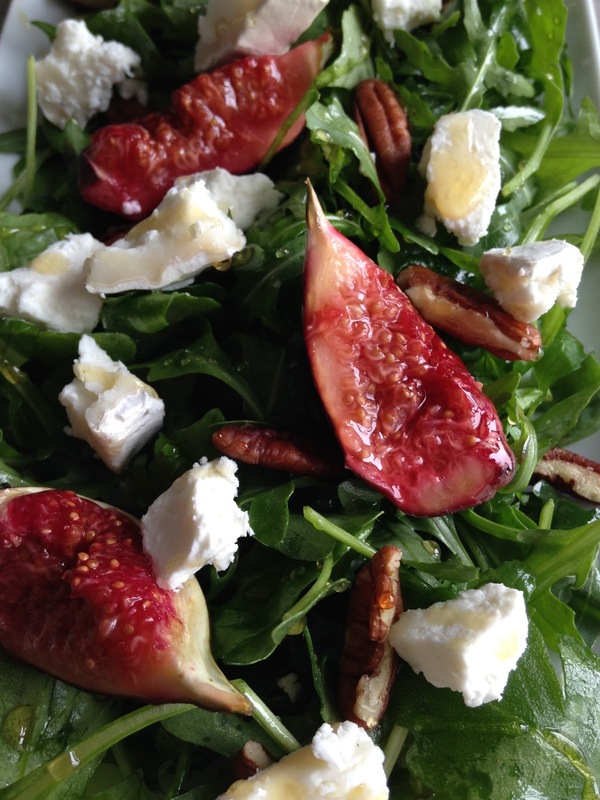 So, as soon as I got back of course I had to make something with fresh figs! 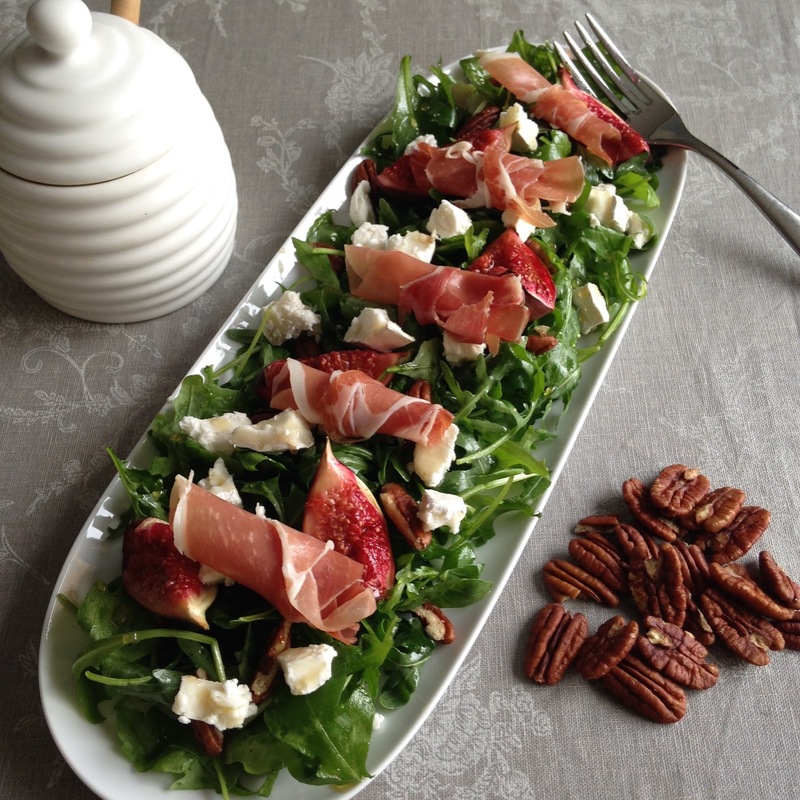 This Autumn salad is a perfect lunch for two people. 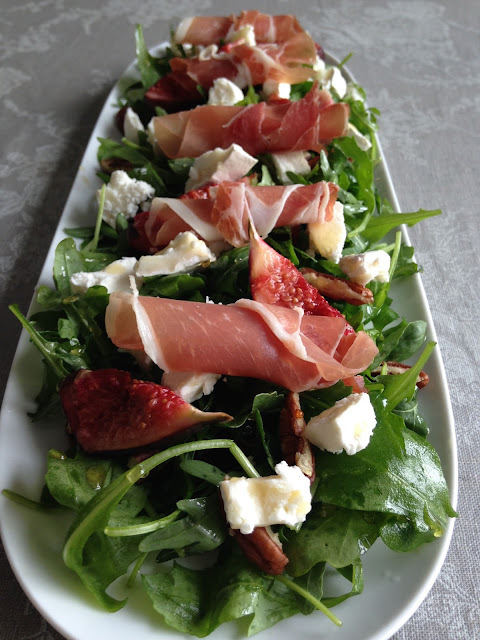 The sweet, juicy, grilled figs together with the salty goats cheese and parma ham served on a bed of fresh rocket leaves is a truly incredible combination. 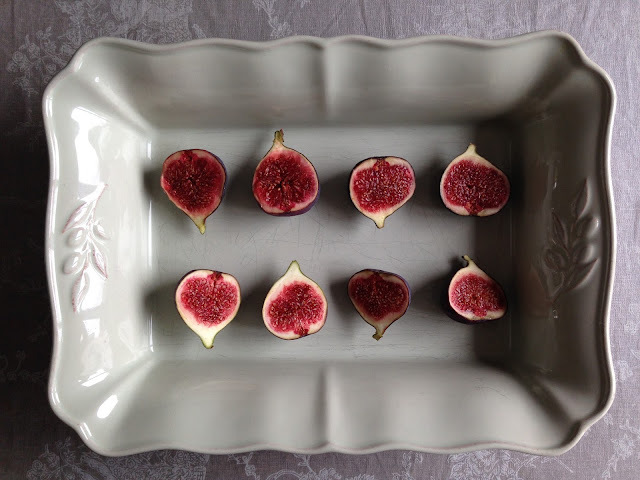 To start, half the figs, place in a casserole dish and grill under a medium heat for 6 - 8 minutes. When they're hot and starting to release their juices remove to cool slightly. Season your olive oil with a little salt and pepper and mix with the rocket leaves in a large bowl until coated and glistening. Place rocket leaves on a large plate. Next, when cool enough to handle, slice to quarter the figs. Add quartered figs and halved pecans to the rocket leaves. 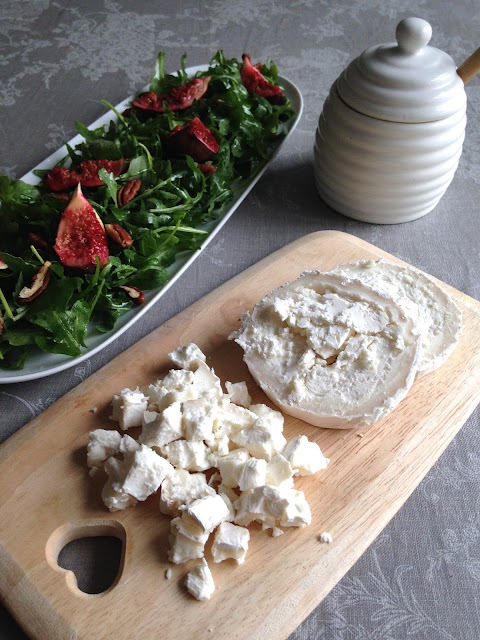 Squeeze over the juice from half a lemon and crumble over the goats cheese. And finally add your parma ham. C'est tout, a delicious memory from France! Wash before use and dry thoroughly before roasting or grilling!